If there's one thing daytime TV fans can always count on, it's The Talk. Whether you work from home, take care of a household, or simply spend the day playing hookie, the series is a daily staple for more than two million Americans every single day. 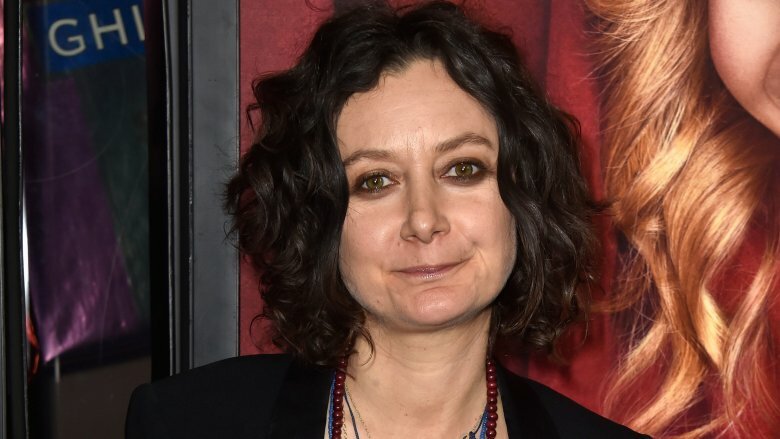 In April 2019, legendary TV actress Sara Gilbert shocked fans of the longtime series when she announced that she would be leaving after nine seasons and nearly a decade of work. In her tearful announcement, the star admitted she'd been struggling for some time with her decision. For many, Gilbert's departure seems like a natural move. The starlet has found unexpected success with her Roseanne spin-off The Conners, where she stars and executive produces. 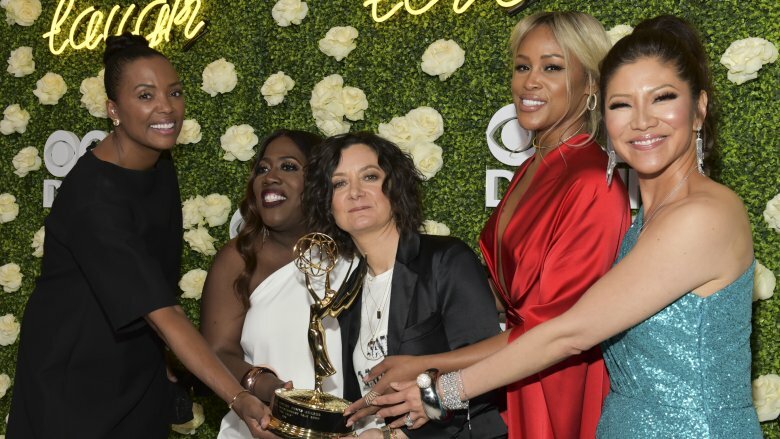 At the same time, The Talk habitually struggles to stand-up against its major competitor, The View, according to Entertainment Weekly, and cast shakes up have left the show's success up in the air. It's true that all good things can't last, but for Gilbert, her decision to call it a day seems like a long time coming. Let's take a closer look at the real reasons she's leaving. 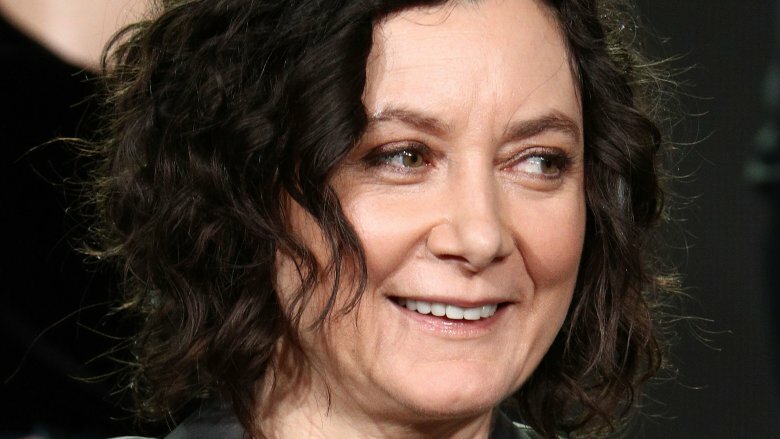 Sara Gilbert inadvertently found herself in the middle of two of TV's biggest scandals of 2018: Roseanne Barr's fall from grace (which included her racist tweet, various comments about Parkland survivors, #pizzagate, and voter fraud) and the multiple sexual assault allegations leveled at CBS network chief Les Moonves. The former led to Roseanne's cancellation. The latter prompted Julie Chen, Moonves' wife, to leave her role as a co-host on The Talk. According to The New York Times, Chen stood by her husband, which couldn't have been great for the talk show's optics in today's Me Too climate. All of this was undeniably an enormous amount of pressure for Gilbert, a self-proclaimed introvert. According to the NYT profile, the attention made Gilbert "uneasy" and forced her to assume roles of greater responsibility in both TV endeavors at a time when she was already struggling to make peace with the limelight. Laurie Metcalf, who plays Roseanne's sister, Jackie, opened up about Gilbert's general demeanor on set. "She's super intelligent with a wicked sense of humor. But very shy and very soft-spoken," she told the NYT. With that in mind, it's not surprising that Gilbert, whose personality seemingly worked against everything that a talk show host typically should be, would want to pull back. Gilbert's role on The Talk is the reason Roseanne got a reboot in the first place. During a comedy skit on the show, Gilbert reprised her role as Darlene alongside actor John Goodman as Dan. According to The New York Times, this led to a "serious discussion" about bringing back the sitcom, but no one could have predicted the revival's astounding success. The series quickly became the most-watched TV show in America (even besting The Big Bang Theory) and averaged a whopping 20 million viewers, according to AdWeek. Unfortunately, the joy was short-lived. Roseanne was cancelled in May 2018, after Roseanne Barr hurled a racially-charged insult at former presidential adviser Valerie Jarrett (Barr later claimed that she "thought the b***h was white.") Producers and the remaining cast members tried to save the show. "It felt like people weren't done watching the show and we didn't want to take it away from them," Gilbert told the NYT. "We just didn't want to end on that note. We wanted to try to preserve the legacy." The solution: Kill off Barr in an opioid overdose and relaunch the series as The Conners with Gilbert at the helm. Suddenly, Darlene had become the show's matriarch, and Gilbert was saddled with more responsibility. 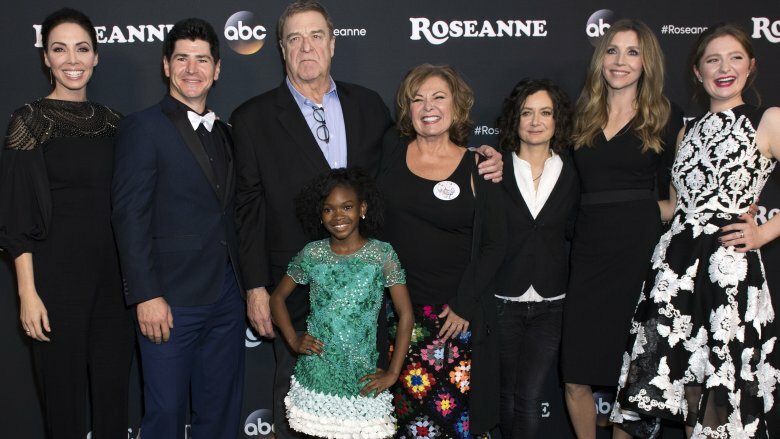 The Conners debuted to poorer ratings than Roseanne. According to Time, viewership and ratings declined about 35 percent between premieres. This equates to a drop of 7.7 million viewers and 2.8 rating points among adults 18-49, but what can you really expect? Before its dramatic ending, Roseanne managed to beat out The Big Bang Theory – a sitcom whose reign has long been considered untouchable. But here's the thing: You don't have to have Big Bang levels of success to be wildly popular. Call it curiosity or America's tendency to rubberneck, but The Conners' premiere still smashed This Is Us – the pop culture behemoth that revived Mandy Moore's career and continues to prompt an average of 16.6 million viewers an episode reach for the Kleenex. Like she'd previously done on The Talk and Roseanne, Gilbert pulled double duty on the set The Conners. The actress serves as an executive producer, and according to a profile in The New York Times, she approaches the job with hyper-focus, reportedly working behind-the-scenes after filming to join in on conversations with the writers. According to the NYT, "while actors are not always welcome in these writerly conversations," Gilbert is "an exception." 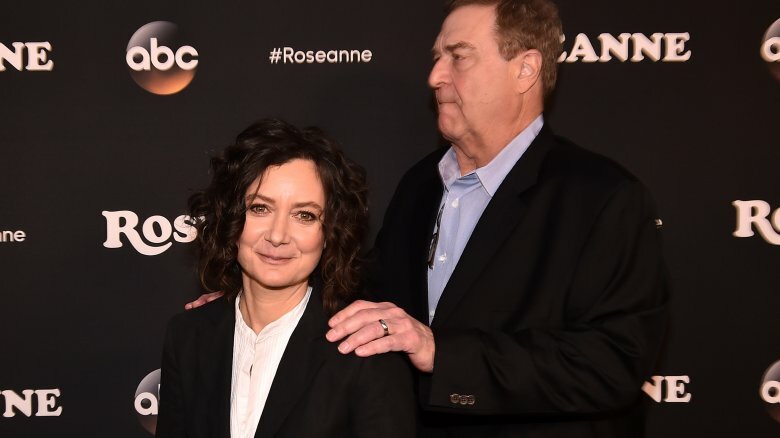 To date, The Conners is consistently ABC's most-watched sitcom. By comparison, The Talk attracted about 2.55 million viewers per episode in 2018. 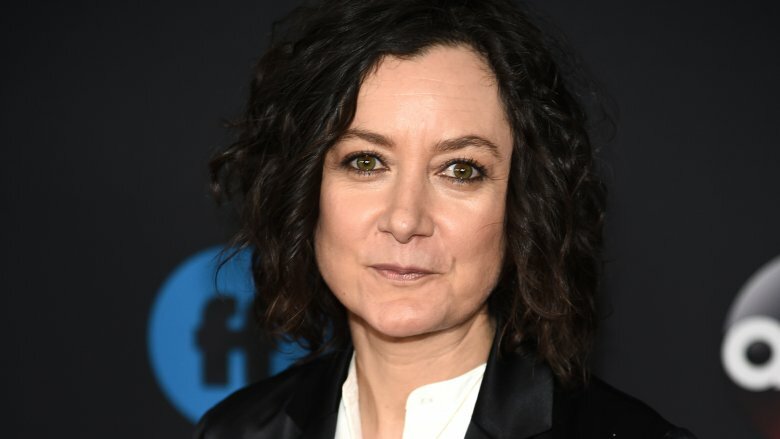 It's no secret that Sara Gilbert has been busy expanding her world outside of the Roseanne universe. Previously, it seemed like the actress' time was so tightly packed that she had to carefully choose her projects. In an emotional farewell announcement (via Closer Weekly), Gilbert admitted she had found a bevy of new career opportunities that she didn't want to pass up. This led her to make the difficult choice to sunset her time with her long-running talk show. "As I've continued on, I'm starting to develop more things to produce, and I'm having opportunities to act and I'm just feeling like I don't know how I'm going to do it all," she said. "I was looking at the next six months and thinking, 'There's not time.'" Outside of pulling double duty with The Conners, Gilbert has explored the world of guest-starring. In 2018, she appeared in six episodes of the CBS series Living Biblically (which The Hollywood Reporter hailed as not "particularly good") and an episode of the CBS comedy Happy Together. She also guest starred in the web series Weird City in 2019. 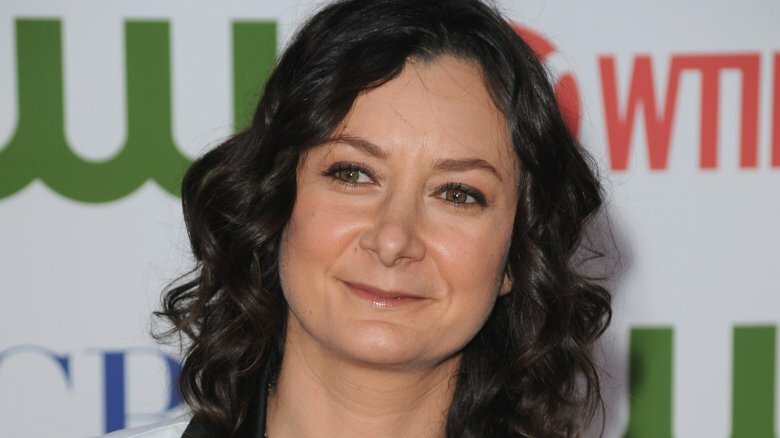 Sara Gilbert garnered two Emmy awards for her work on The Talk, and for the majority of those nine seasons, the star pulled double duty, serving as both a host and executive producer for more than 1,100 episodes (The show has amassed nearly 1,500 episodes, but Gilbert gave up her producing gig in 2016). Obviously, The Talk was a major part of Gilbert's life, but she needed to make some changes when she started to feel spread too thin. "If I'm being honest about it, my life was slightly out of balance," she explained on the air in her tearful announcement (via Closer Weekly). "I wasn't able to spend as much time with my three kids as I'd like or [have] time for myself." Gilbert said she was missing out on some of the joys of raising children. 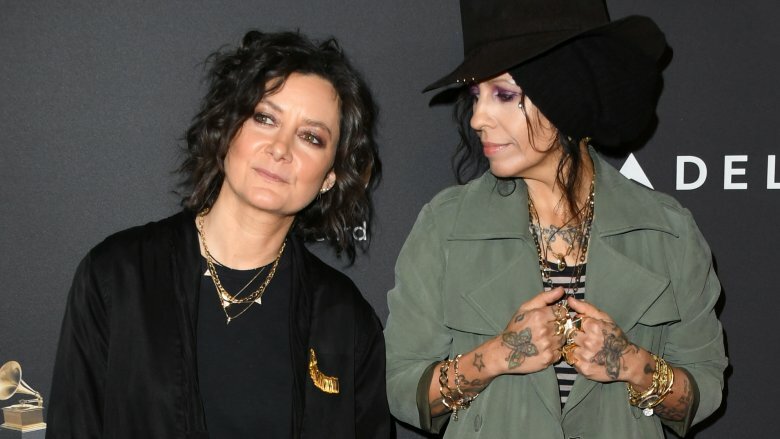 She shares son Rhodes (born in 2015) with wife Linda Perry, and is also a mom to daughter Sawyer (born 2007) and Levi (born 2004) from her previous marriage. Her decision was "difficult," Gilbert said. "I love the hosts, I love the crew, I love our staff [and] I'm so grateful to the audience for letting me in your homes every day. It's been such an honor." Amidst Les Moonves' scandal, Julie Chen's departure from The Talk was undeniably hard on the cast. The TV personality spent nearly a decade on the show alongside Sara Gilbert. Chen's exit "was difficult," she told The New York Times. "All of it, the circumstances around it, were something that none of us wanted to have happen or to find out about. I know that she felt it was time to go be with her family." Gilbert wasn't alone in feeling a little lost after Chen left the series. Co-host Eve, who joined The Talk in 2017, told Variety the transition was "extremely hard." Though it ultimately brought the cast members closer together, they were "still figuring it out" without Chen. For Gilbert, the devastating shakeup may have signaled that it was time to go. Gilbert's idea for The Talk was sparked by mothers' groups she joined after giving birth to her daughter, Sawyer. She craved the sense of community they provided and wanted to translate those same vibes to television. However, her introverted personality wasn't really conducive to being a full-time talk show host, but that's exactly what made the star push forward to make the show a reality. "I did this because I was scared to do this," she told The New York Times. "I felt like I wasn't equipped for it, and I needed to expand my growth." Even Gilbert's on-screen sister, actress Lecy Goranson, told the NYT that she was surprised by Gilbert's decision to jump to a role that "involved more public speaking." The way Goranson sees it, "I think it really says something about her wanting to be a well-rounded person — to take a deficient muscle and make it really strong." In fact, Gilbert's introspection added a unique sense of humanity in an age where many talk shows focus on viral sensationalism. Nine seasons in, it's clear Gilbert turned a weakness into a strength, accomplishing what she previously thought was impossible. With that goal achieved, it seems like a natural time for the star to move on.